Mexico, Canada, And The United States Set To Become One Country? Undervalued property in central Panama City is hard to find these days. From the oceanfront skyscrapers to the historic old town’s rehabilitated colonial structures—there isn’t much left for bargain hunters in this booming city.With GDP growth rates reaching double digits several times in the past decade, Panama’s economy—and its property market—remained relatively unscathed during the global recession. And with sustained GDP growth rates of about 6% expected through at least 2020, it comes as no surprise that Panama City’s property market continues to experience high demand. It also comes as no surprise that many of these high-demand properties are selling for US$3,000 per square meter and higher. The old town of Casco Viejo, which is designated as a UNESCO World Heritage Site, is in especially high demand, with prices as high as US$5,000 per square meter. Apparently, you just can’t build centuries-old colonial buildings like you can skyscrapers. The path of progress has impacted almost all of central Panama City. There aren’t many neighborhoods where you could find undervalued real estate ripe for early investment. Sure, there’s cheap real estate, but it’s usually cheap for a reason. The slums are dangerous, downtrodden, and disregarded by the government, and any investments in those areas would carry far too much risk at this stage. One neighborhood still carries plenty of potential, and is set to benefit from government spending in an attempt at improving its infrastructure and housing situation. The dormant value set to unleash in the neighborhood of Calidonia makes it one of the last spots for investors looking to make an early move on the path of progress in central Panama City. Travel guides and gringos might tell you to stay away from Calidonia and its busy pedestrian shopping strip on Avenida Central, calling it dirty or dangerous (based mostly on old stereotypes and an irrational fear of local residents), but that’s exactly the appeal for potential investors. Calidonia is a neighborhood in transition, with an emerging population of middle-class working residents tucked between the splendors of the old colonial town and the trendsetters of the modern downtown. Within only a couple blocks of walking distance outside of the neighborhood, you could find yourself in a slum—or in a mansion. The demands of Panama’s thriving tourism industry, along with those of the residents of Calidonia, have influenced the government to make improvements in the neighborhood, with plans to spend US$90 million already approved and future plans for millions more expected. Even the United Nation’s sustainable urban development branch, UN-Habitat, is involved in a collaboration agreement with Panama City to promote its urban renewal efforts. Regulating street vendors, billboards, waste disposal; investing millions into urban renewal projects that promote green, pedestrian-friendly spaces and transportation options; improving lighting and security at night; developing cultural projects and attractions, such as the Afro-Antillean Museum—all are part of the government’s ambitious plans for Calidonia. This is much more than the typical raze it and raise it style of skyscraper development this city is used to, and it even includes plans for affordable housing initiatives. These improvement plans seek to benefit the residents as much as the tourists who may visit. Despite some concerns from the unauthorized street vendors and residents being intimidated out of their properties by unscrupulous developers, many of the residents look forward to the city government finally allocating some funds to the neighborhood. On top of the coming infrastructure improvements in Calidonia, the neighborhood’s location already makes it one of the most accessible city-center neighborhoods. Close to the old town Casco Viejo, the oceanfront Cinta Costera parkway, the downtown business district, and the seafood market—and with plenty of bus and Metro stations—Calidonia is going to be one of the most sought-after areas for Panama City urbanites. The current market in Calidonia has everything from cheap apartments, single homes, multiunit complexes, and newly built high-end condos. If you’re searching for online listings in Panama City, there’s no shortage of agencies with endless listings of condos—next to none of which are in Calidonia (and if they are, they’re mostly in the few skyscrapers along the oceanfront). Listing beat-up buildings doesn’t appeal to agents looking to court international deep-pocket buyers. Your best bet for finding the bargains in Calidonia is to search the classifieds. The website Encuentra24 is sort of like the Panamanian Craigslist or Kijiji, with thousands of individual listings for all kinds of things, real estate included, sometimes listed by local agencies or the owners themselves. One listing on Encuentra24 is of a two-level, 500-square-meter, 16-room building with two commercial spaces on the main floor. The building could use some renovations, but it’s not necessary for the space to be livable by any means. Currently, each of the 18 units rents for US$300 per month. The asking price is US$350,000. Another listing on Encuentra24 highlights just how low some current property prices are. This small, one-bedroom, one-bathroom unit on Calidonia’s Avenida Justo Arosemena is rough-and-ready for the low price of US$17,000. For a location that’s minutes from the Cinta Costera beltway and Albrook Mall, that’s a steal of a deal. Another small condo has two bedrooms, one bathroom, and 58 square meters of living space. The unit is in good shape, and the building’s common area includes a swimming pool. The asking price here is US$105,000. A multiunit building listed on Encuentra24 is a newly-renovated two-story complex. The building includes two commercial spaces, six studio units, and two one-bedroom units, and over 400 square meters of space. The building earns US$5,000 per month in rents and is listed at US$620,000. One example of how the area is developing is a newer two-bedroom, two-bathroom, 122-square-meter condo with a hot tub, balcony, and all appliances for US$300,000. 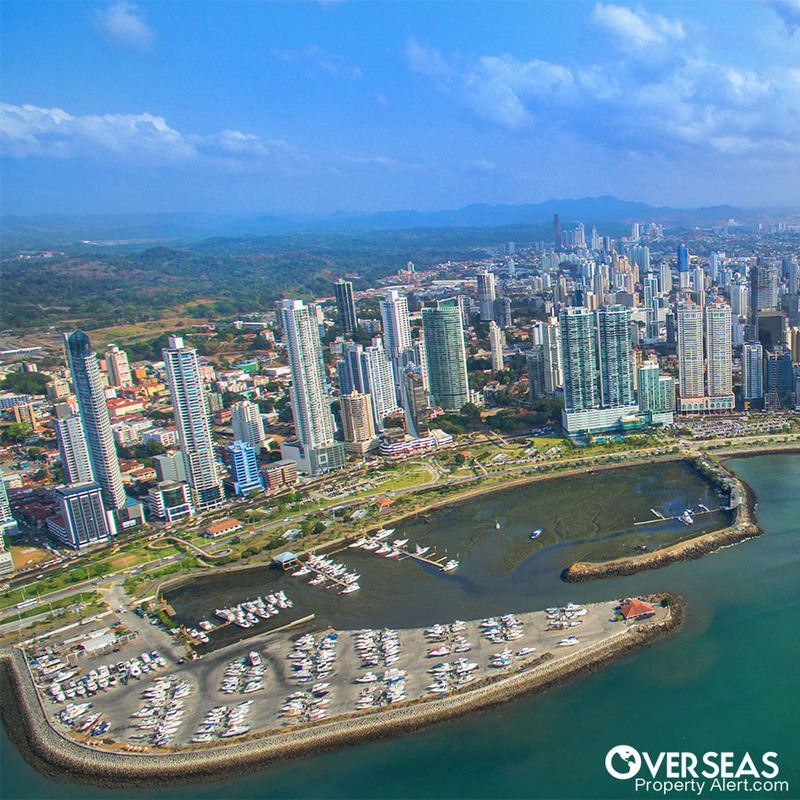 One thing to keep in mind when buying property in Panama is that the most essential steps you’ll take require the council of a good lawyer—your lawyer, not the seller’s. This is especially true in Calidonia, where foreign buyers aren’t courted like they are in the luxury market and could be seen as easy targets to be exploited. A lawyer will complete a title search, review maps, and certificates, verify that taxes and bills are paid up to date, draft a contract, and help get title insurance once you’ve purchased. Don’t assume you can do this yourself, even if you are fluent in Spanish. Also remember that a real estate agent, even if working directly for you instead of the seller, is not a substitute for a lawyer. The good news is that, as a foreigner in Panama, you have practically all the same property rights as a Panamanian citizen. Beware that tenants in buildings or units that rent for under US$150 per month have their rent frozen at that amount, so these buildings should be avoided. Your lawyer can help you identify these. Panama is one of the easiest countries for a foreigner to arrange a mortgage in Latin America. And with the U.S. dollar being the de facto currency in Panama, there is no exchange rate risk associated with your property and mortgage. If you’re not benefiting from the property tax exemptions, you still won’t have to pay much. Properties valued US$30,000 or less pay no tax; US$30,000 to US$50,000 pays 1.75%; US$50,000 to US$75,000 pay 1.95%; and above US$75,000 pays 2.1%. Calidonia is beginning to attract attention from developers. Currently, most of the focus is on the oceanfront portion of the neighborhood along Avenida Balboa where property values aren’t much different than other areas dense with skyscrapers further along the coastline. Don’t expect the interest to end there, though. As more and more government funding is injected into Calidonia, property prices will rise accordingly. It may take 5, 10, 15, or even 20 years until the area is on par with other parts of the city center, but the path of progress isn’t paved overnight. There are still plans to make, communities to consult with, contracts to put out to tender, and plenty of years of manual labor and construction work to take place before Calidonia’s transformation is complete. In other words: There’s no better time or place than now in Calidonia to invest long-term in Panama City. Editor’s note: Matt Chilliak hails from Saskatoon, Saskatchewan, and has an honors degree in political studies from the University of Saskatchewan, with minors in economics and Spanish. He also holds certification from Fine Art Bartending School. He has traveled throughout Latin America, including Mexico, the Dominican Republic, Cuba, Colombia, and Panama. I’ve read and enjoyed your articles for years now and just thought I’d take a minute to tell you. This one on places to grow coffee is great. I’m forwarding it to some people that I know will enjoy it. Your information is always interesting. Good job! I just read your article on the best places to grow your own coffee, and I wanted to comment on growing coffee. I owned a coffee farm in Hawaii, and it is a lot more work than you implied in the article; especially if you are trying to grow for more than personal use. We sold our farm because we were too old to keep up with the work and did not allow us any time to travel. While it is “nice” to have your own coffee to grow, unless you are just growing a few trees for personal consumption, managing the trees is a lot of work… there’s harvesting, pruning, fertilizing, weed control, processing the coffee, etc. In Ecuador, I had about 200 trees… more than required for personal consumption, but far short of a commercial operation. We averaged about six man-hours per week, for picking, drying, and shucking the beans, as well as maintaining the trees. We picked beans all year as they ripened… a seasonal picking schedule would have required less time overall. We enjoyed the task and looked forward to it. But, as David points out, the beans don’t pick themselves. I must be missing something with regards to buying in Mexico. It is clear Canada, the United States, and Mexico are being set up to become one country. If one is interested in getting farther away from the inevitable collapse, how will Mexico be safer than staying in the states? Indeed, if you believe that all of North America is being “set up to become one country,” then settling in Mexico doesn’t provide much in the way of geopolitical diversity. Whether or not you believe some greater power is setting us up for Act of Union 3.0, if geographic and political diversity from the United States were my primary goal, Mexico would not be my first choice for achieving it. Personally, I’d head to Uruguay, where I’m already a resident. I like reading your emails. One question I have is how best to find reputable property managers that will truly manage an investment property for the buyer for a good net return. Also, what is a good resource for learning about cultural and tax norms? As to managing a property, take a look at my previous article on selecting a property manager overseas. For cultural norms, you’ll have to do some digging. I’ve found the CultureShock!series of books to be a terrific resource for the countries they cover. Also, a good travel guide will help. For U.S. taxes, take a look at tax guru Lief Simon’s tax guide for offshore investing.